MEZÇLÃO Artistas - We offer programming that centers around artistic expression, social justice, diversity and multiculturalism to educational arenas and communities around the nation. We offer programming that centers around artistic expression, social justice, diversity and multiculturalism to educational arenas and communities around the nation. MEZÇLÃO is a visual/performing arts institution committed to nurturing artists in ensemble collaboration, artistic diversity and inspiration. 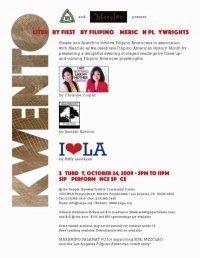 We provide an outlet for artists to garner social and cultural awareness in promotion of tolerance and acceptance. 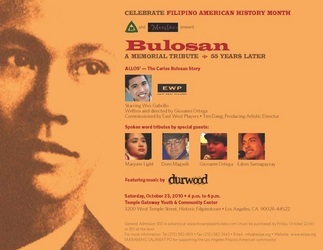 ALLOS - The Story of Carlos Bulosan is a one-person show that centers on Carlos Bulosan who emigrated to America only to find violence, racism and exploitation. He used his writing to combat discrimination and became an advocate for social justice and migrant workers rights. 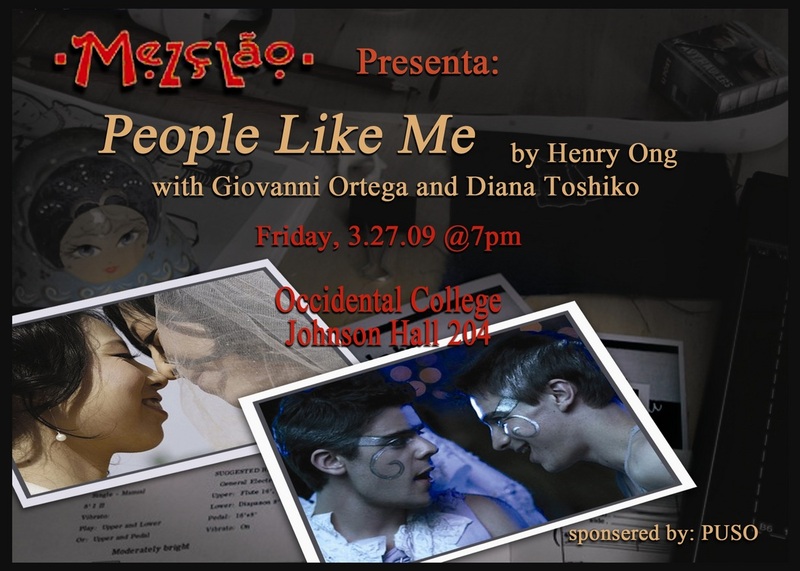 Entrevistas - Interviews: A Muslim Poet, Former Klu Klux Clan Member, Illegal Immigrant, Trans Man, Bi-racial Social Worker , Gay Runaway Teen and a Filipino Ghost Collide in a One Person Show. Juan Tamad (aka JT) and the Bee Powder is an adaptation of the Children's Filipino Folk Tale about Juan Tamad, young man who always gets into trouble because of his laziness.